would like this for a present! I would love to win this card. Thanks for the chance. Thanks for another great giveaway. 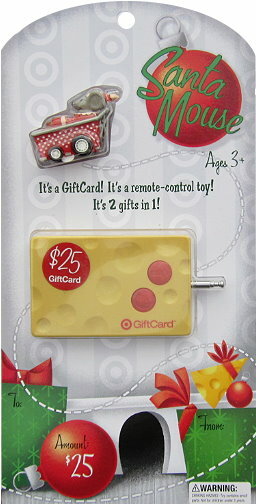 Really cute gift card! winning would make me happy. Luv “Totally Target”! Thanks for being so generous! Thanks for sharing your GC’s! Hope I win! Thanks!! And Merry Christmas! I love totally target… would love to win gc! I love Totally Target! Thank you and happy holiday. I hope I win!!!! Love totally target!!!! I’m obsessed with your Target deals!!!! Hope this gift card comes with a 12 step program…i’m gonna need it after the holiday shopping season! The card sounds like so much fun! I would love to win!!! Love these giveaways! Hope I win won soon! I don’t know where you come up with all the magical gift cards, but I would be happy with just the packaging on your cards! Even if they came empty, you have the best give aways!